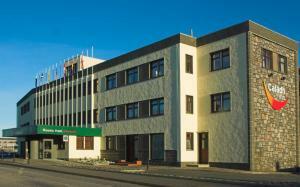 Stornoway’s largest hotel, Caladh Inn is just half a mile to the Stornoway Lewis Ferry Terminal and less than 3 miles from Stornoway Airport. Free Wi-Fi and free private parking are available. Rooms at the Caladh Inn offer complimentary mix of colour and neutral shades and they are all equipped with an en suite bathroom, a TV and tea and coffee making facilities. The restaurants offer both a traditional Scottish dinner and cuisine with an international flavour. The Eleven Bar offers a selection of draught beers, malt whiskeys and wines from around the world. The hotel is situated less than half a mile from Stornoway town centre and less than a mile and a half from Raon Golf Course. The 19th Century Lews Castle is only a 5-minute drive away.